Social inequality plagues even the most affluent metropolises. Hong Kong is no exception – the escalating cost of living, insufficient public housing, and gaps in pension and poverty provisions contribute to an ever-growing disparity between the classes. Locally, the problems are being addressed by a diverse group of individuals and companies. Every kindness that comes from a position of empathy and understanding builds towards a more sustainable solution. 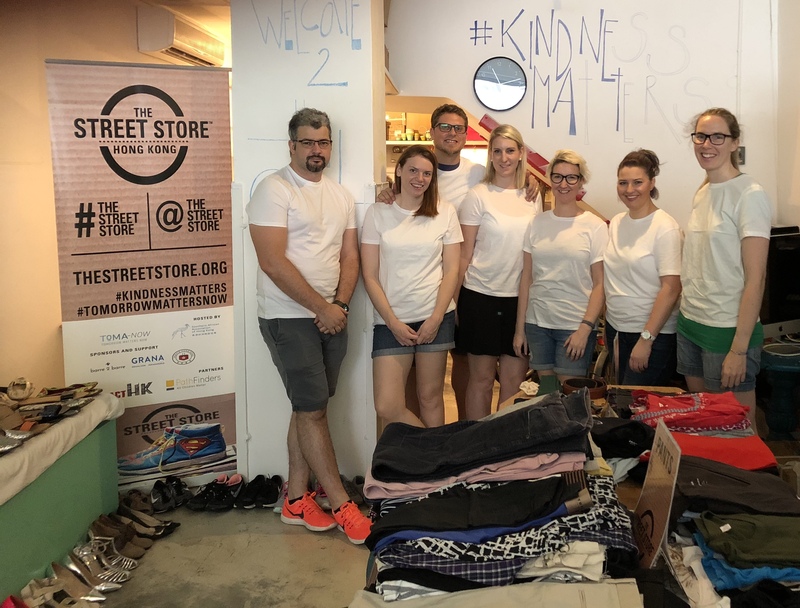 Tomorrow Matters Now in collaboration with the South Africa Association Hong Kong, hosted the first Street Store in the Tai Kok Tsui area in Mong Kok, Hong Kong. A concept originating from Cape Town South Africa, the Street Store allows those in need to have a dignified shopping experience. Through a simple act taken for granted, it empowers homeless individuals and the vulnerable, to choose what they would like to wear. The day was filled with excitement! Everyone, from street cleaners and the homeless community to the ladies and children from Pathfinders Hong Kong, popped by the Street Store to shop for cloths. To make the shopping experience even more memorable our stylish friends at Hollywood Hair 2 Saikung sponsored haircuts to the “clients” adding to their neat appearance and dignified treatment in public. Hong Kong & SAAHK hosted Hong Kong’s FIRST Street Store!